We are perfectly situated in the Rocky Mountain Foothills near Jasper National Park and Hinton Airport. Whether you're traveling to Hinton for work, or on your way to Jasper National Park for a family vacation, the Econo Lodge & Suites Hinton Hotel is a perfect place to stay. Located in the scenic foothills of the Rocky Mountains , our hotel is less than an hour's drive from Jasper, and offers an affordable alternative to staying at a Jasper Park hotel. Whatever your reason for staying with us, we have a room to suit your needs. If Hinton is a stopover on your way to Jasper or across Canada, our standard rooms offer comfortable beds and great amenities to refresh you for your journey. 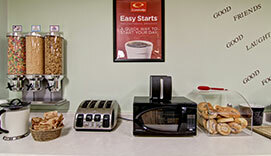 Guests staying for more than one or two nights will appreciate our suites with fully outfitted kitchens. 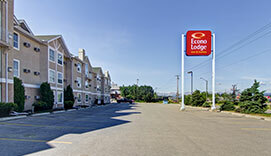 At the Econo Lodge Inn & Suites Hinton Hotel, we know that just because you want an affordable room doesn’t mean you want to give up those creature comforts and convenient amenities. 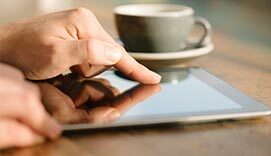 That's why we've outfitted all of our rooms at the Econo Lodge Inn & Suites Hinton with modern features including flat screen Tvs, free high speed wireless internet, microwaves, and refrigerators. This means that when you stay with us, the only thing you won't get here that you'd find in a Jasper hotel is an oversized bill at checkout time. Whatever your reason for staying with us, you'll love our clean, spacious rooms and friendly service that puts us among the top hotels in Hinton. 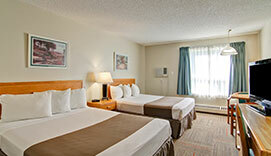 Book a room today and ensure that your stay in the Hinton-Jasper area will be a pleasant one.